mount vernon | Nam Writes. Holy Bargain Basements – 40 Miles! That was before I experienced the hills. Now listen. I grew up riding my bike in Chicago — which is flat as a pancake. Guess what is not flat as a pancake? If you guessed Virginia, give yourself a prize. We’ve done parts of this trail before, so I expected the intermittent hills for for the first 13 miles. 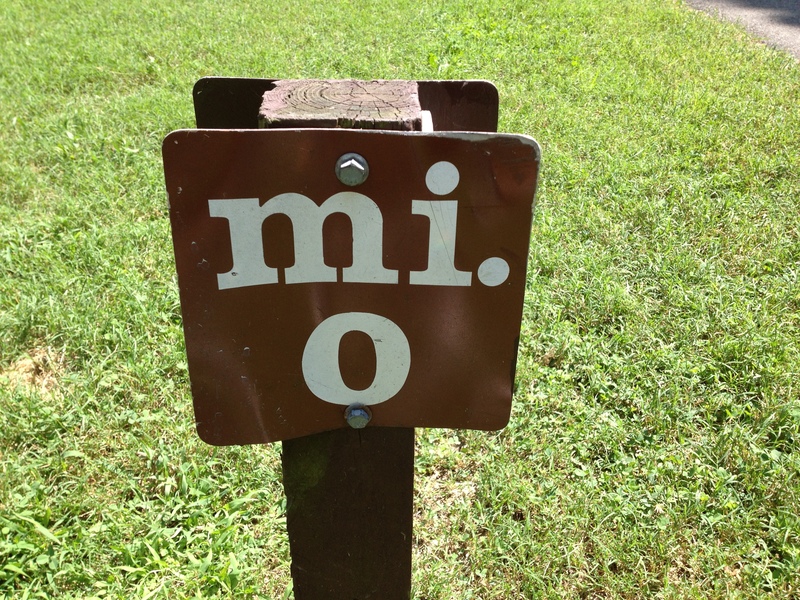 But when you hit mile 14…PAIN. I lost count of how many times I had to get off my bike and literally walk it up the hill like a complete weakling while other bikers zoomed past me. Let’s just say, I will not be riding the Tour de France anytime soon. 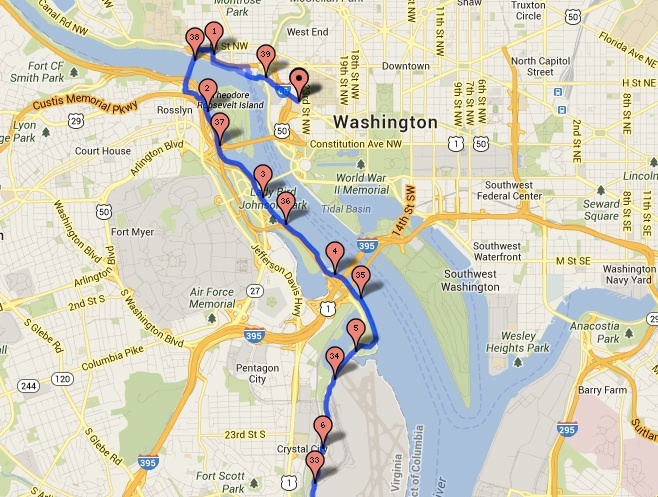 Behold our 40-mile bike ride in all of its glory. 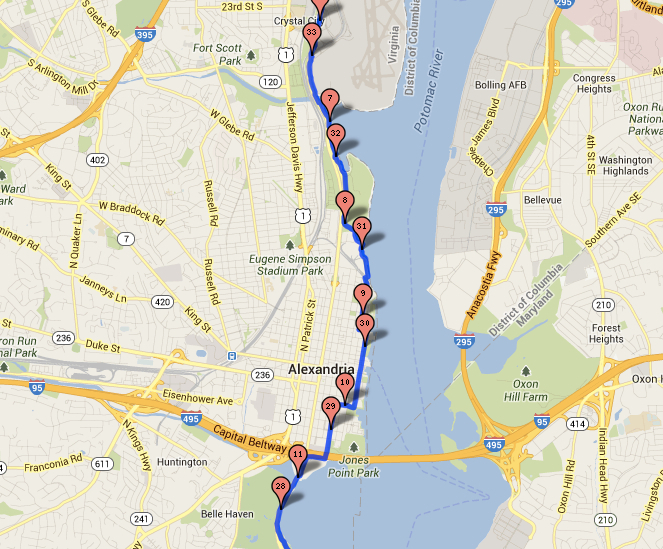 We stopped in Old Town Alexandria which is a midpoint between miles 9 and 10 to reward ourselves for our intrepid journey. The Boyfriend was very, very happy. 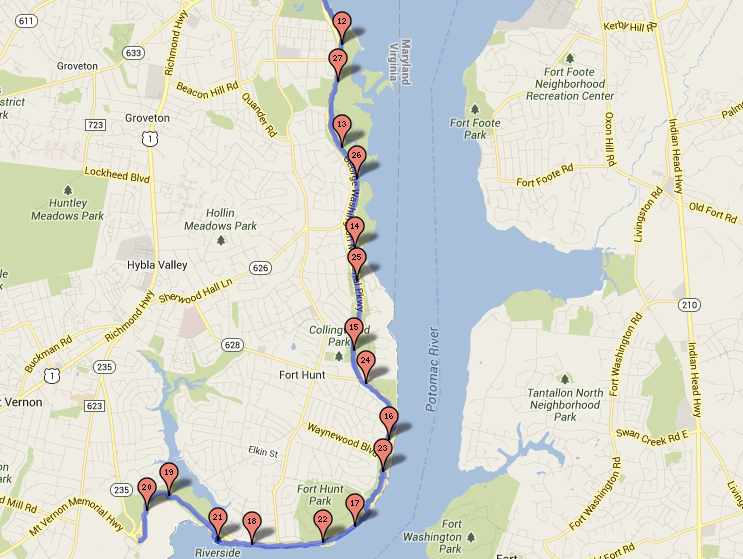 And this made me very happy…Reaching Mount Vernon. Of course, we had to turn around and do it all over again.